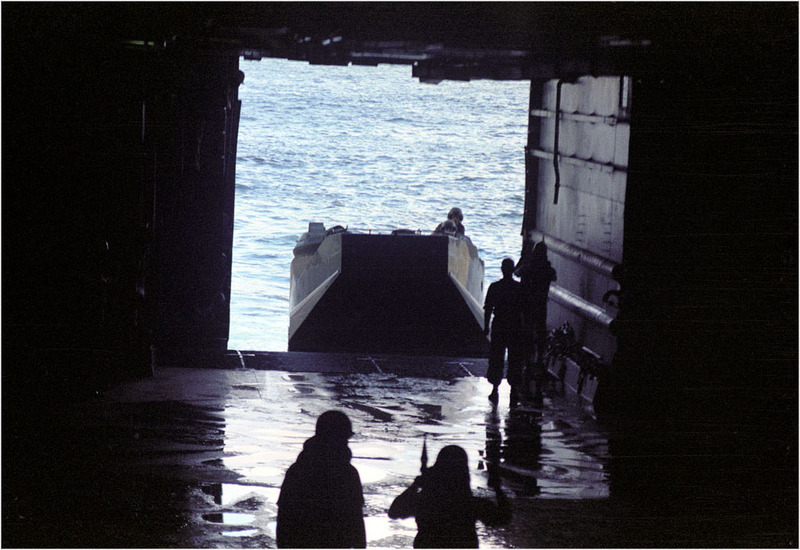 Going up the ramp of an LST could be a bit scary. If the ship was bobbing a lot you had to time it just right get over the ramp while on the low part of the bobbing. If you were half on and half off the ramp would come to the surface and basically knock you off and into the water sideways. This could be fatal for all the crew and passengers.